Two Puritans by Edward Hopper (1882-1967). 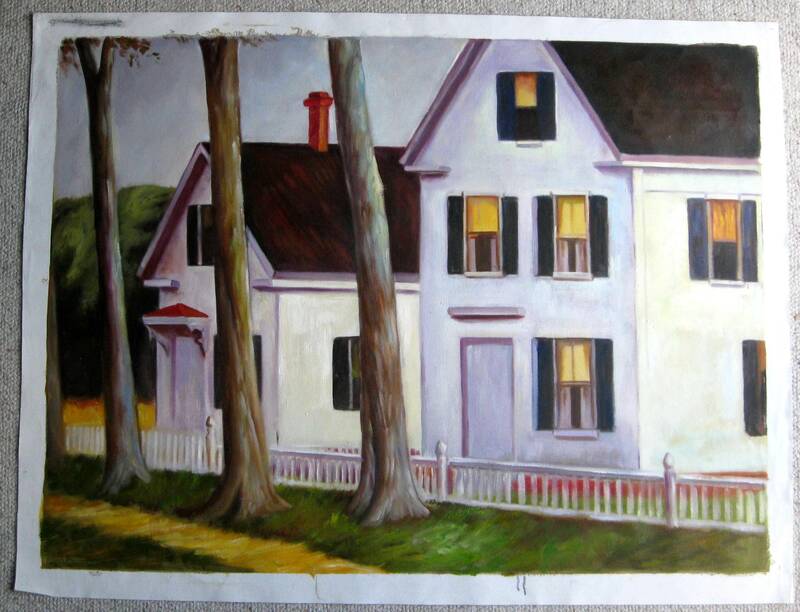 Painted in 1945 at the height of Hopper’s career, Two Puritans, one of only three canvases by the artist of that year and the only one in private hands, is estimated to bring in excess of $20 million when it appears at auction for the first time this spring. The painting has been included in nearly every major exhibition and publication on the artist and, most recently was on view in Paris at the Grand Palais, where the Hopper exhibition broke attendance records, proving that the artist has arrived on an international stage. 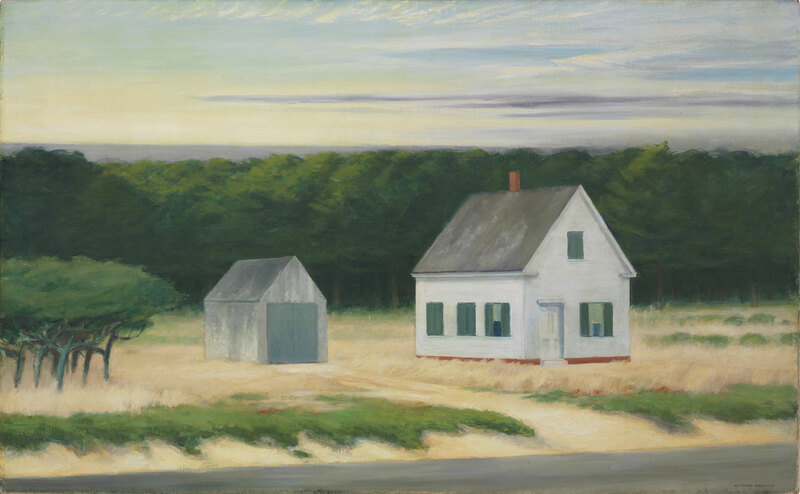 Hopper's oeuvre is defined by what is at first glance a seemingly mundane, American subject yet in each canvas, and perhaps most poignantly in Two Puritans, a complex psychological subtext lies just beneath the surface, betraying the simplicity of the scene. The frisson created in this disconnect between subject and meaning defines his best work and imbues his compositions with an almost haunting permanence, leaving an indelible mark on the mind's eye. This ability to distill time, to freeze a single moment in perpetuity, cemented his legacy and inspired future generations of artists. Edward Hopper’s choice and earnest representation of commonplace subject matter in works such as Two Puritans set the artist apart from his contemporaries and allowed him to create a new and uniquely American iconography. In Two Puritans and throughout his career, Hopper painted aspects of America that few other artists addressed. He portrayed unromantic visions of life in a broad and increasingly modern style. 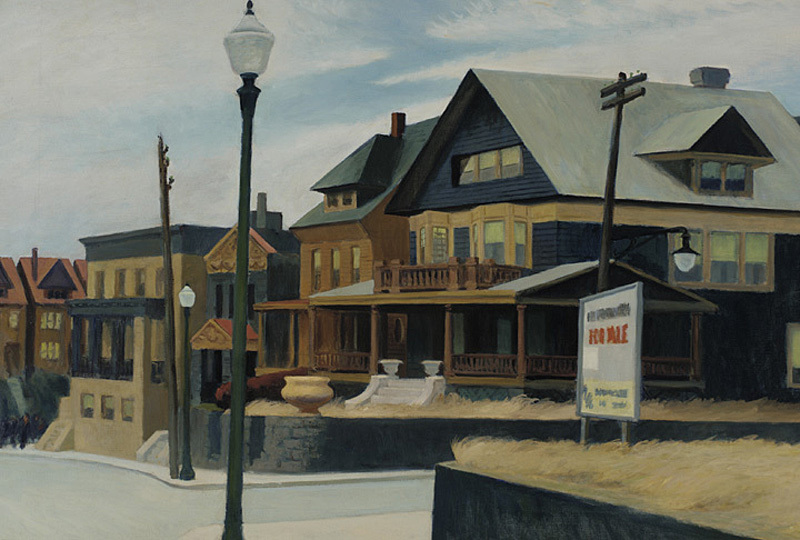 While Hopper's paintings have formal qualities in common with other Modernists, his art remained steadfastly realist. sold via Christie’s LIVE™ for $9.6 million, setting the world record for an item sold online at any international auction house.